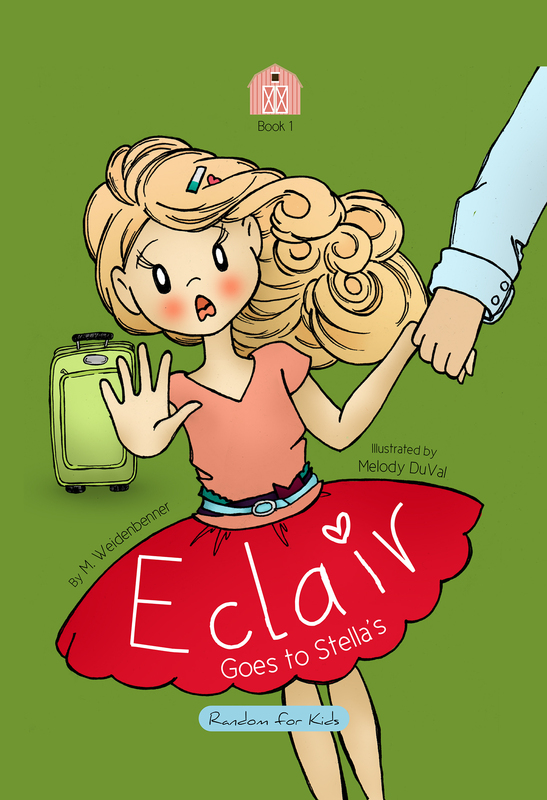 When seven-year-old Éclair goes geocaching for the first time, she finds a treasure that isn’t the one she imagined. Young readers will discover what geocaching is all about through Éclair's journey with her eccentric grandma. This book will be hidden in geocaching sites around the US as a fun read for early readers. My hope is that young readers all over the US will learn what geocaching is through Eclair's antic with Grandma Stella. “This heartwarming, educational story will show children that even though things don't always turn out as we expect them to, sometimes they're even better than we could ever have imagined.” Mel Finefrock, Patchwork Poetry. I have recently read a few books featuring Geocaching and this a concept that is both appealing and loads of fun! When I heard about Eclair Goes Geocaching, I was instantly interested. The cover is beautiful and reminded me of all those Famous Five adventures I used to practically eat, sleep and think about in my childhood. The blurb and title are further attractive and sure to hold the initial interest of the readers. While the story seems like it is for children, I soon realized that it is easily enjoyable for adults as well! This is the first book by Michelle Weidenbenner that I have read and I really enjoyed her story narration. She took an idea and developed it into a lovely book. All through the story she keeps surprising the readers with new lessons while also making us follow the thrilling trail of clues as she go geocaching alongside Eclair. Her writing style is simple, engaging and very expressive. I could visualize and feel the excitement of Eclair and also felt like I was back to those afternoons after school I used to spend reading my latest acquisitions from the school library! Steady paced and beautifully written, I loved this book and think it is a great book for both children as well as adults. The readers get introduced with Geocaching while staying glued to the seats with interest all through the story. A through and through entertainer, I loved reading this book that made me laugh, have fun and feel relaxed at the same time and give Eclair Goes Geocaching 4.5 out of 5. Recommended to everyone, I know I will be checking out the other books by the author. AWARD-WINNING and AMAZON BESTSELLING AUTHOR. GOLD Medal WINNER in the 2014 READERS' FAVORITE International Awards. Bronze Medal Winner in Dan Poytner's Global eBook Awards. Michelle is a fulltime employee of God's kingdom, writing and encouraging writers every day. She's often a sucker for emotional stories, her sensitive side fueling the passion for her character's plights, often giving her the ability to show readers the "other" side of the story. She grew up in the burbs of Detroit with five brothers. No sisters. Each time her mom brought the boy bundle home from the hospital Michelle cried, certain her mom liked boys better than girls. But when her brothers pitched in with the cooking, cleaning, and babysitting--without drama, Michelle discovered having brothers wasn't so bad. They even taught her how to take direct criticism without flinching, which might come in handy with book reviews. Michelle is living her dream--writing every day and thanking God for the stories He puts in her path. When Michelle isn't writing she's winning ugly on the tennis court. She's known as "Queen of the Rim Shots." No joke. It's ugly. CACHE a PREDATOR is currently hidden in geocaching sites throughout the US. If you'd like to see where there might be a novel hidden in your area, please log in to geocaching.com and search for trackables at IN SCRIBE--that's Michelle.